WeighPack introduces the C-10 to its PrimoLinear™ family of linear net-weighing equipment, engineered specifically for limp, non-free flowing, and delicate products including coleslaw, cooked noodles, diced tomatoes, raw meat, and more. 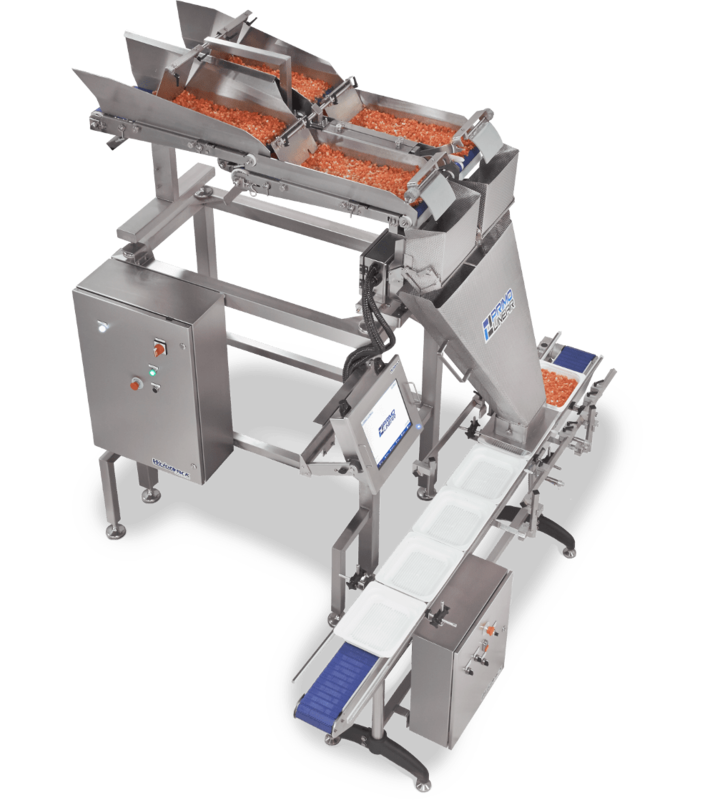 The C-10 utilizes a system of motor-operated conveyor belts to gently transfer product from the hopper to the 10 liter pneumatically-actuated weigh bucket that it employs to dispense product into various package types. The PrimoLinear™ C-10 system can be customized for semi-automatic or fully automatic dispensing cycles with single-lane or dual-lane functionality, dependent upon the performance speed required. To the benefit of today’s food producers, the PrimoLinear™ C-10 is designed with an open frame leaving no small crevices for bacteria to develop and drastically reduces cleaning time between production runs. The PrimoLinear™ C-10 comes standard with an IP-65 mounted digital camera for online service support along with a Windows operating system enabling users to gather real-time reporting data and production analytics as well as remote control capabilities.